The Samsung Galaxy Note 5 is slowly coming out of obscurity and the latest bit of intel on the high-end phablet comes from a 3D model showcased in a video. The renders have been dug up by prominent leakster @onleaks, who estimates the credibility at 80%, whatever that may mean. The styling closely follows the latest regular-size flagship Galaxy S6, or actually the S6 edge, but a flipped version of it. The screen is flat and the rear is curved towards the side edges. This results in a similarly thin frame on the sides, but it's bound to handle a lot differently. Borrowing the design from the Galaxy S6 carries one other very important consequence - the battery is non-removable. With the capacity tipped at 4,100mAh, that shouldn't be all that much of an issue, though. Evidence comes from the card slot on the handset's left side, though it's impossible to say whether it'll be a combo SIM/microSD slot or storage expansion won't be a feature of the Note series anymore as well. 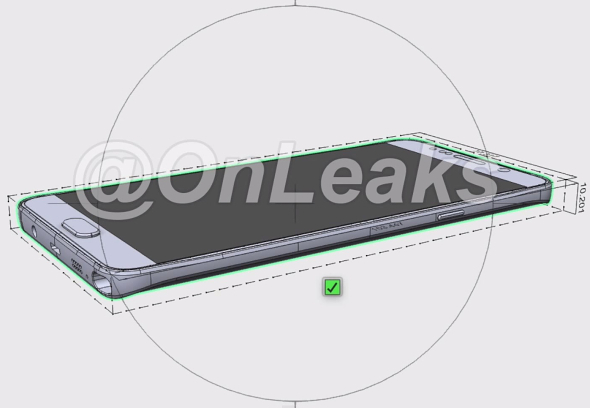 The renders line up nicely with a previously shown alleged case for the Note 5 in terms of features layout. Contrary to older rumors the Note 5 won't come with a Type-C USB port, but the mainstream microUSB 2.0 instead. The cutout for the S-Pen leaves the impression that it will, indeed, be auto-ejectable, as there doesn't appear to be enough room to stick your fingernail in there. 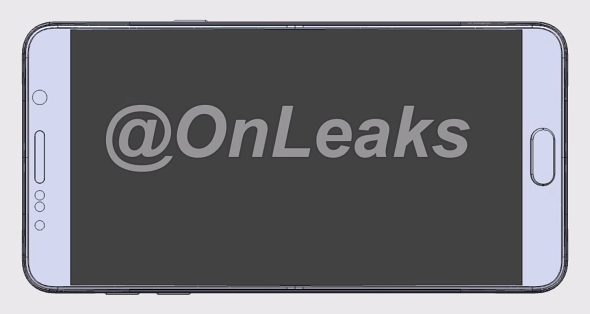 The video also details the dimensions of the smartphone putting it at 153.4 x 77.3 x 10.2mm, but those 10.2mm include the camera hump. Our skills at photogrammetry led us to calculate the thickness at a hair above 9mm, typical Note series waistline. The width, on the other hand, is barely enough to fit the 5.89-inch screen with about 2mm bezels on either side. You can go ahead and check the video for yourself, but take it with a due dose of skepticism, as even the source doesn't claim it's 100% legit. I can understand if they using big non removable battery. but no microSD is no go. i really hate if my phone broken with memories/data gone together.